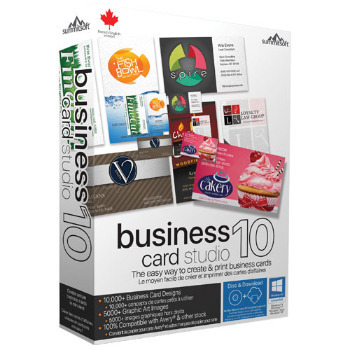 Business Card Studio Deluxe – Create a professional business card in 3 easy steps. It only takes a few steps to create a great looking business card: 1) Choose It: Select your card style from 10,000+ pre-made designs or create your own from scratch. 2) Change It: Personalize your selected card with your own information, change out graphics, and add new text, images and logos. 3) Print It: Easy at home printing or send your design to a professional printer.